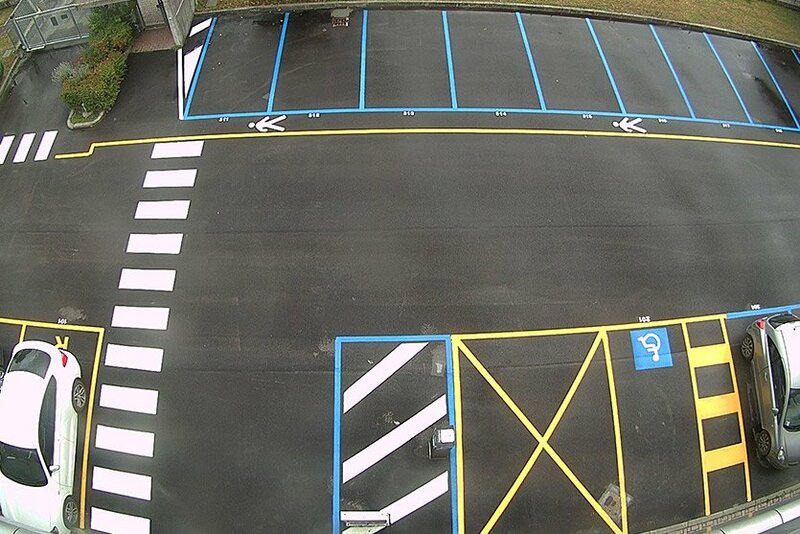 Test field area for Smart Parking Systems > Smart Parking Systems - A Division of Intercomp S.p.A. 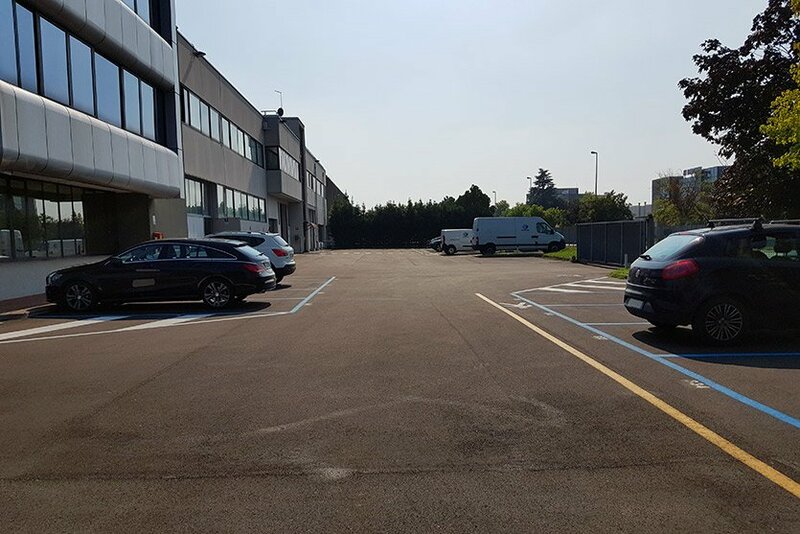 The new field test area of Smart Parking Systems, implemented in our headquarters in Verona, is operational. 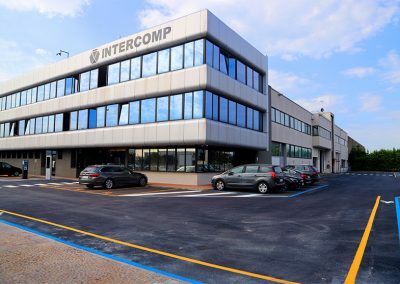 ➡️ The parking area surrounding Intercomp’s offices was completely re-paved and the car and motorbike parking lots were redesigned and numbered. 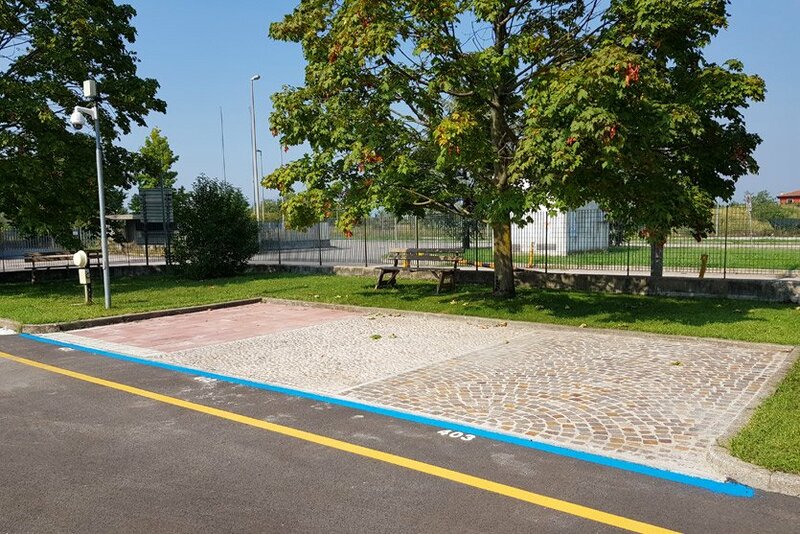 ➡️ Subsequently, below the asphalt level, we installed our Smart Parking Systems sensors that, due to the variation of the Earth’s magnetic field produced by the cars parked, are able to recognize the change of free/busy status. 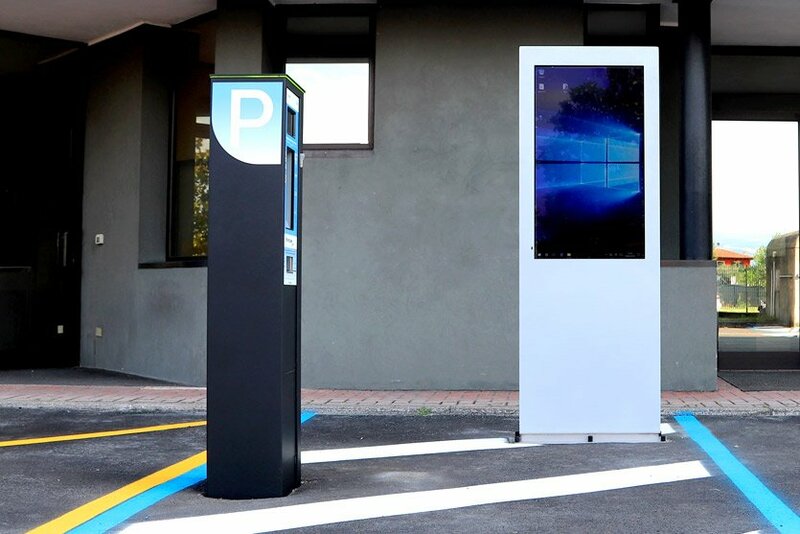 ⭕️ an interactive outdoor stand that enables to consult the parking data processed by our POLIS management software. 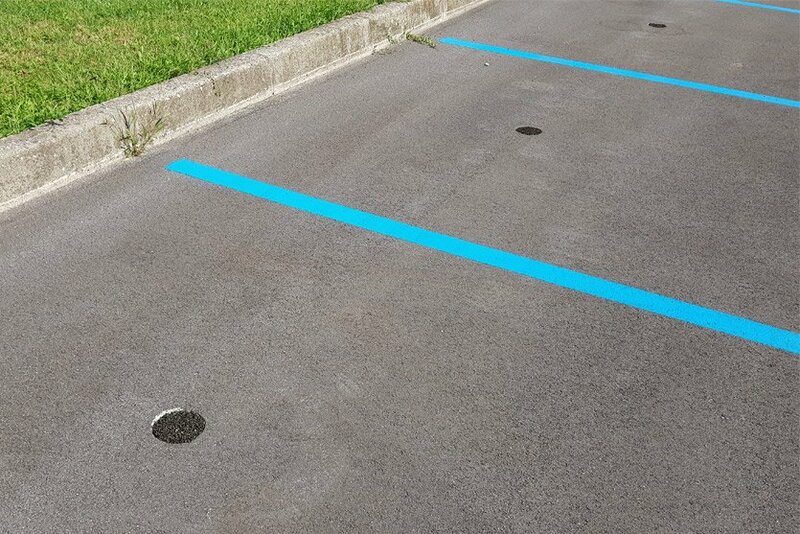 In addition to all Smart Parking Systems components, we decided to include two additional elements in the test area to enrich and complete the system. 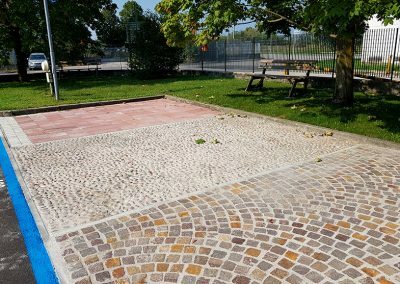 Three parking spaces are realized with three different types of flooring: porphyry, stones and interlockings. The purpose of this variation is twofold: to establish the behaviour of the buried sensors and to show the possibility of coring even in presence of different materials than asphalt. 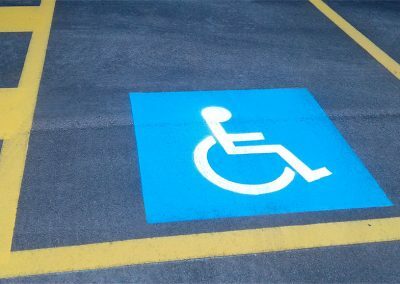 A disabled parking area equipped with Bluetooth technology sensor, capable of communicating instantly with the smartphone or with the car of the authorization title holder. In this way it is sufficient to reply to the authentication attempt sent by the sensor itself. More details. 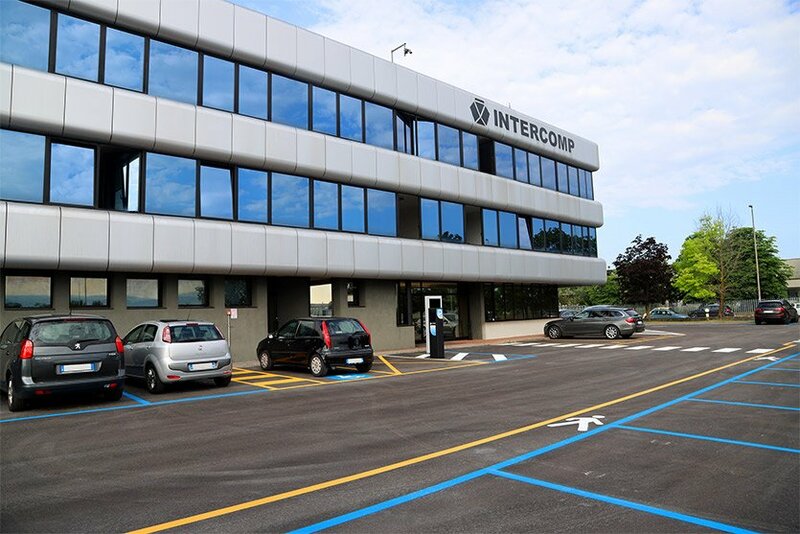 The operations of the system within our test field area essentially reflect that of the Smart Parking Systems installations already present in many parts of the world. 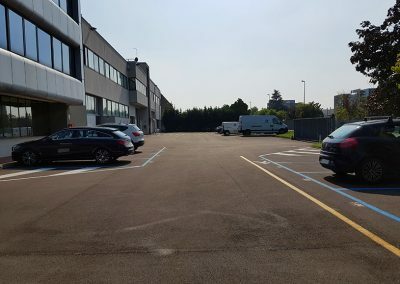 ✔️ The parked car is detected by the sensor that communicates with the central server and with the management software that handles all the parking data. 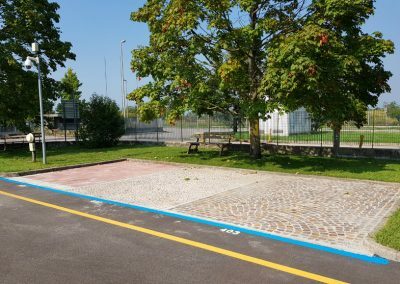 ✔️ The user is guided to the free park lot by the App 4Park that also allows to pay, without displaying tickets and without having to return to the car in case of prolonged parking. 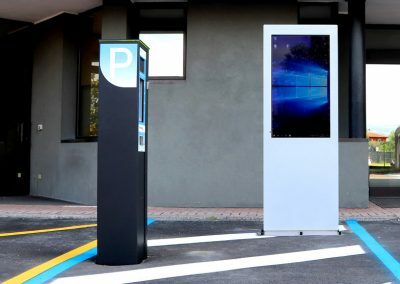 In the same way, the Dante parking meter can be used to completely manage the payment. 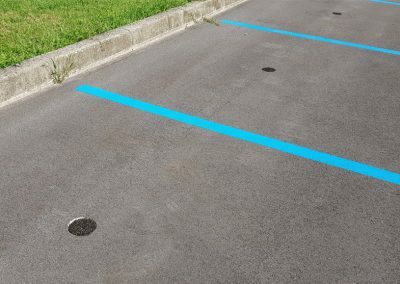 ✔️ The management software allows to monitor in real time the status of the parking lots, sending alerts for possible targeted interventions in case of violations. 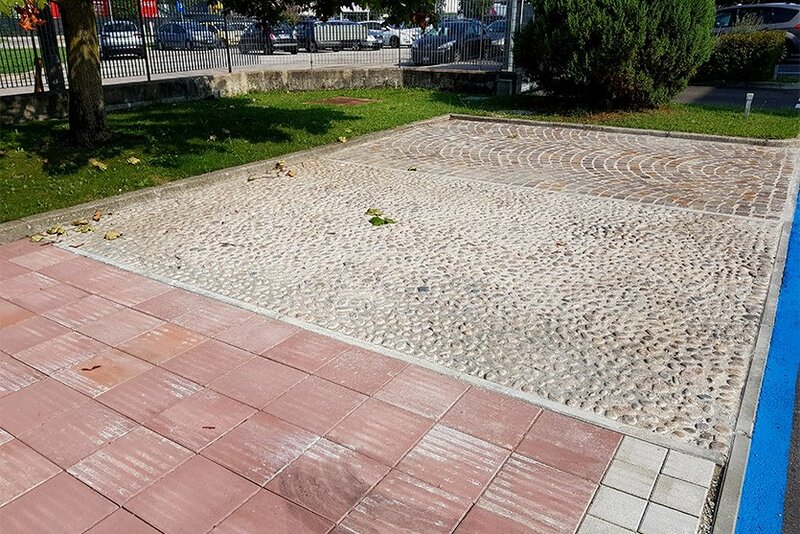 ✔️ The cameras represent a valid alternative when the urban or environmental context prevents the burial of sensors. 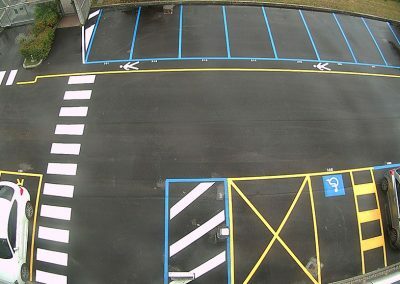 It is possible, for anyone interested, to book a visit to our test field area. 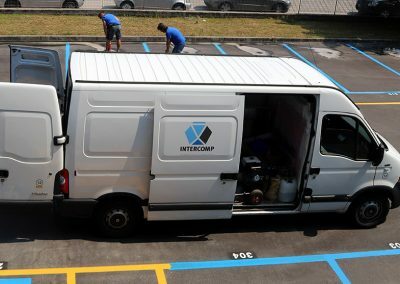 Our engineers will explain the complete functioning of the system and all its components, making practical demonstrations. 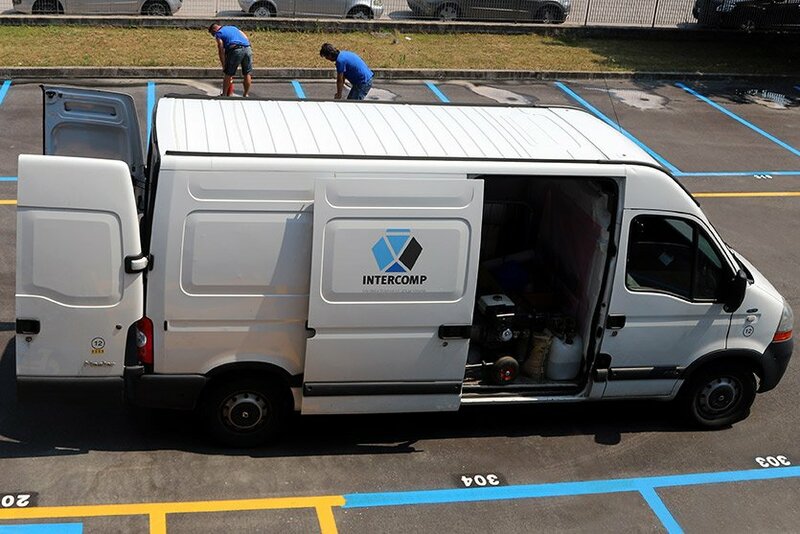 ✅ Our guests will have the chance to choose the solution that best suits their specific needs, to perfectly adapt the system to the environment in which it will be installed, maximizing efficiency and profits and, at the same time, balancing costs. 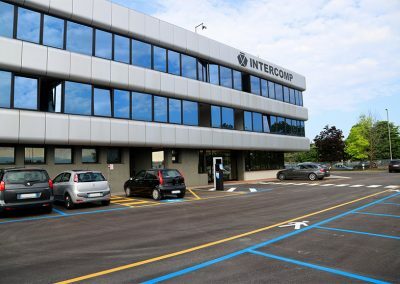 ✅ We will be pleased to accompany you in what for us is a real “journey into the future”, tenaciously wanted and at the same time conceived and realized with great care and attention to details, to offer the maximum experience to all those we will have the pleasure to host in our headquarters. 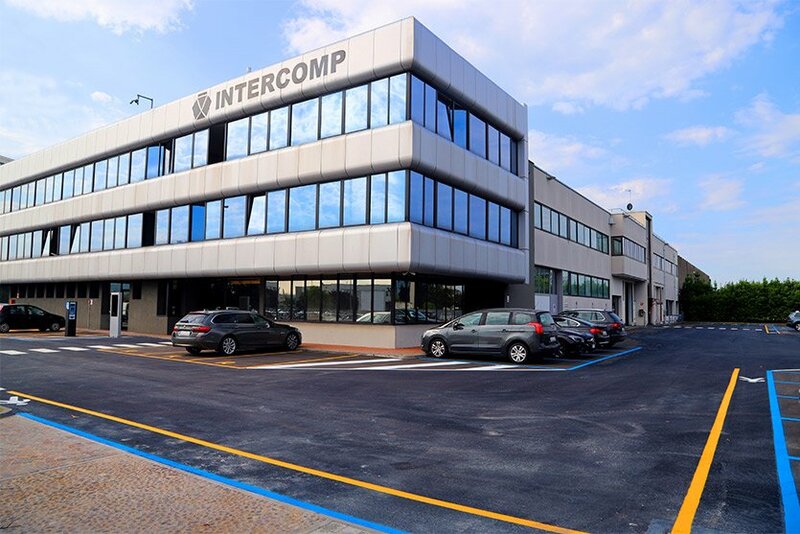 Thank you, we will contact you to schedule the visit.